Whether your looking to purchase a wand at Ollivanders at the Wizarding World of Harry Potter, or have a thrilling ride on the Tower of Terror at Disney World, one thing is for sure — travelers will save up to $80 compared with current fares for this route. 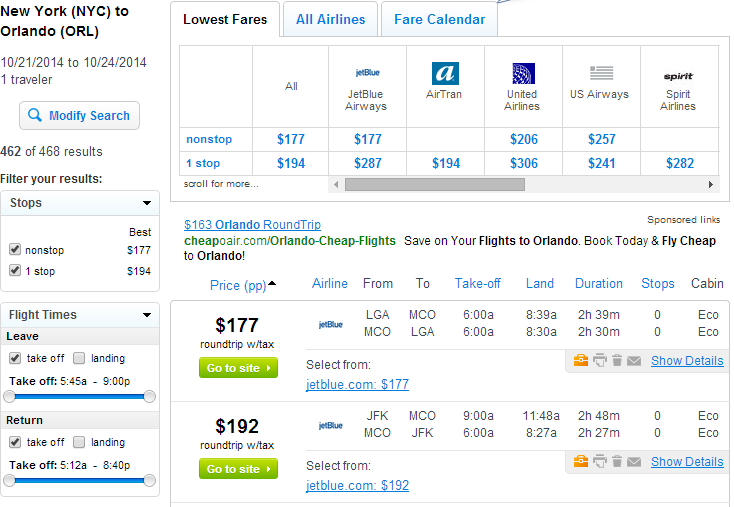 This fall, and late summer, fares from New York City to Orlando are $177-$197 roundtrip, including tax. 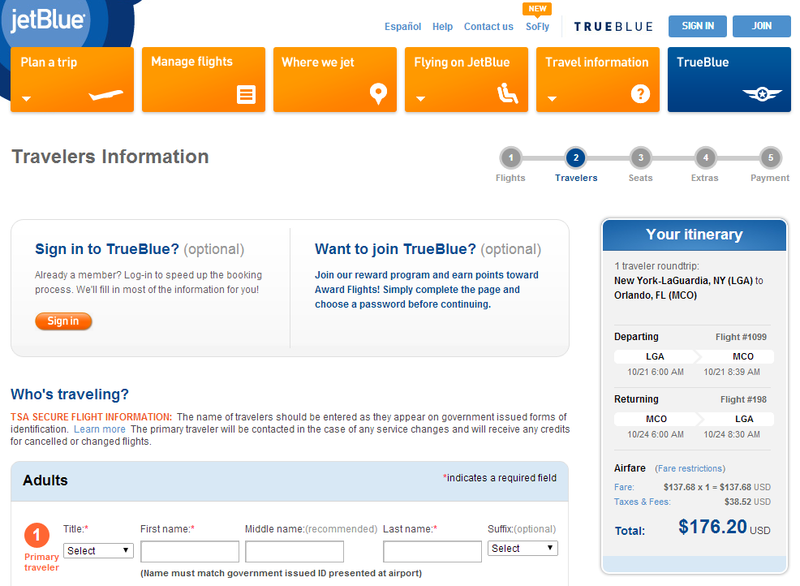 Save up to $80 compared with current fares for this route. Plan ahead for the holiday. This fare is available over Thanksgiving.